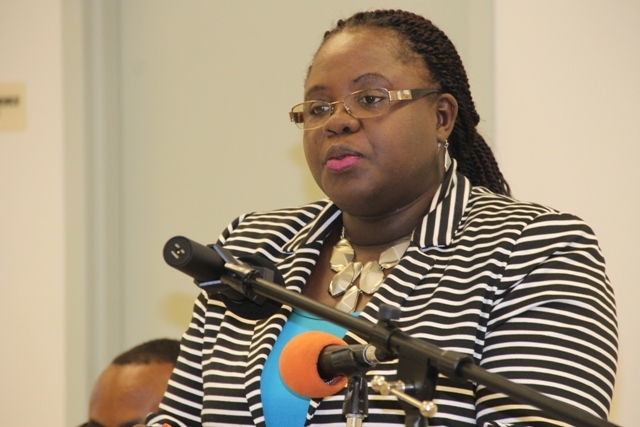 NIA CHARLESTOWN NEVIS (February 11, 2015) — Junior Minister in the Ministry of Social Development Hon. 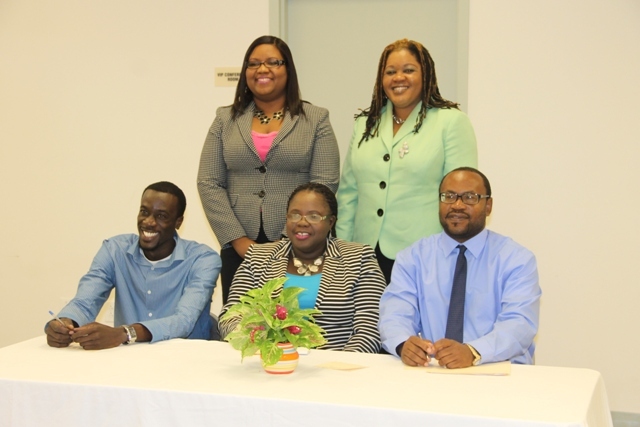 Hazel Brandy-Williams welcomed what she termed as an extension to the Department of Youth and Sports on Nevis, as she officially launched the department’s website www.dysnevis.org at a ceremony at the Emergency Operations Centre at Long Point on February 09, 2015. She stated that the Ministry of Social Development was cognisant of the impact of technology on young people and in order to reach and engage them, their interest had to be captured. Therefore, technology in the department’s view was the most important tool to help it to realise that goal. Mrs. Brandy-Williams commended the Department of Youth and Sports under the supervision of Coordinator of Youth Development Zahnela Claxton and Acting Director of Sports Jamir Claxton for their vision and for realising the need for the service and addressing it. The Minister expressed hope that the service would be utilised by the youth. “It is my sincere hope that our young people would take advantage of this website so that they can keep abreast of the happenings in youth and sports on the island and to register in the various programmes, some of which are ongoing and some of which would be launched in the future,” she said. Mrs. Brandy-Williams also urged adults to find time to access the website, so as to provide the relevant guidance to the youth on the available programmes that would best suit their needs. She also encouraged the respective stakeholders, in particular, the Department of Education to keep abreast of the activities and programmes provided by the Department of Youth and Sports through the website. The Minister also used the opportunity to thank all those within the department who had worked behind the scenes to make the launch a reality. She made special mention of Stephan Joseph, whom she said had from the onset, developed a keen interest in the project and thanked him for seeing the idea to fruition. Meantime, Claxton, in brief remarks, described the launch as a significant moment for the Department. He noted that the department was in the process of revamping itself and as part of that process engaged in developing the website. 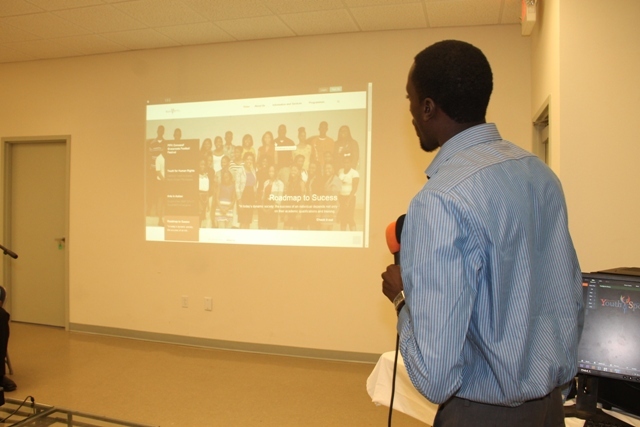 According to Claxton, the department had taken the initiative to fully integrate technology into its administration and programming. He said the website would provide important information to the internet savvy population the department is trying to reach, who now more than ever, use the worldwide web and social media to get their information. 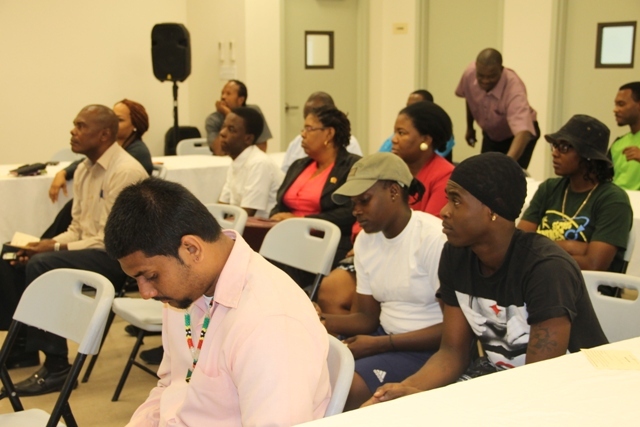 It would provide a multimedia platform in which the department could interact and get feedback from the youth of Nevis regarding the ongoing programmes, new ideas and initiatives that would be launched in the not-too-distant future. Claxton said the website would also be used to promote the Department of Youth and Sports’ programmes regionally and internationally.